Last Republic Day, Lil H saw the flag hoisting for the first time and since then every time she spots the Indian flag she jumps with joy! While on last Independence Day my two and a half year old chatter box surprised us all by singing the National Anthem in our society function. One of the activities that you can do to teach our kids about India, it’s history and it’s constitution is by telling them about our freedom fighters and personalities who put India on the world map . 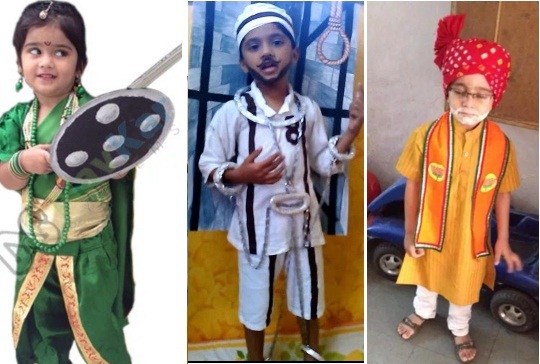 So, in school or your society, this Republic Day dress up your child a personality, India is proud of and tell them their inspiring stories.